An Aug. 6, 2009, New York Times article titled, “For Today’s Graduate, Just One Word: Statistics” reminds me of the famous quote of advice to Dustin Hoffman’s character in his career breakthrough movie The Graduate. It occurs when a self-righteous Los Angeles businessman takes aside the baby-faced Benjamin Braddock, played by Hoffman, and declares, “I just want to say one word to you – just one word – ‘plastics.’ ” Perhaps a remake of this movie will be made and updated with the word analytics substituted for plastics. The use of analytics that include statistics is a skill that is gaining mainstream value due to the increasingly thinner margin for decision error. There’s a requirement to gain insights and inferences from the treasure chest of raw transactional data that so many organizations have now stored (and are continuing to store) in a digital format. 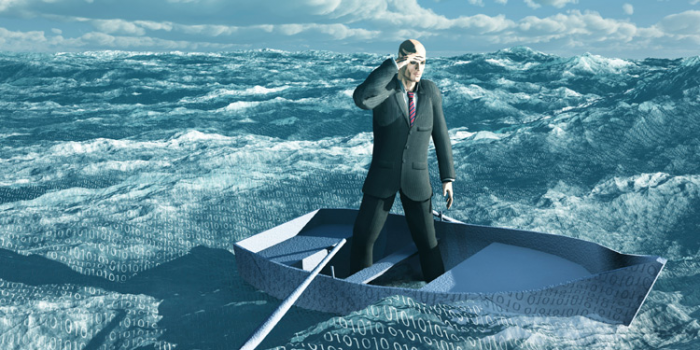 Organizations are drowning in data but starving for information. The application of analytics is becoming commonly accepted, but will senior executives realize it? Managers today are maturing in applying progressive managerial methods. Consider this. Roughly 50 years ago, CEOs hired accountants to do the financial analysis of a company, because this was too complex for them to fully grasp. Today, all CEOs and mainstream businesspeople know what price-earnings (PE) ratios and cash flow statements are and that they are essential to interpreting a business’ financial health. They would not survive or get the job without this knowledge. Twenty years ago CEOs of companies did not have computers on their desks. They did not have the time or skill to operate these complex machines and applications, so they had their secretaries and other staffs do this for them. Today you will become obsolete if you don’t at least personally possess multiple electronic devices such as laptops, mobile phones, BlackBerrys and PDAs to have the information you need at your fingertips. Today many businesspeople don’t really know what predictive modeling, forecasting, design of experiments or mathematical optimization mean or do, but over the next 10 years, use of these powerful techniques will have to become mainstream, just as financial analysis and computers have, if businesses want to thrive in a highly competitive and regulated marketplace. Executives, managers and employee teams who do not understand, interpret and leverage these assets will be challenged to survive. probability theory in our first-year university statistical analytics course. Today children have already learned these in the third grade! They are taught these methods in a very practical way. If you had x dimes, y quarters and z nickels in your pocket, what is the chance of you pulling a dime from your pocket? Learning about range, mode, median, interpolation and extrapolation follow in short succession. We are already seeing the impact of this with Gen Y/Echo boomers who are getting ready to enter the work force – they are used to having easy access to information and are highly self-sufficient in understanding its utility. The next generation after that will not have any fear of analytics or look toward an "expert” to do the math. There is always risk when decisions are made based on intuition, gut feel, flawed and misleading data or politics. In Babson College Professor Tom Davenport’s popular book, Competing on Analytics: The New Science of Winning, he makes the case that increasingly, the primary source of attaining a competitive advantage will be an organization’s competence in mastering all flavors of analytics. If your management team is analytics-impaired, then your organization is at risk. Analytics is arguably the next wave for organizations to successfully compete and optimize the use of their resources, assets and trading partners.